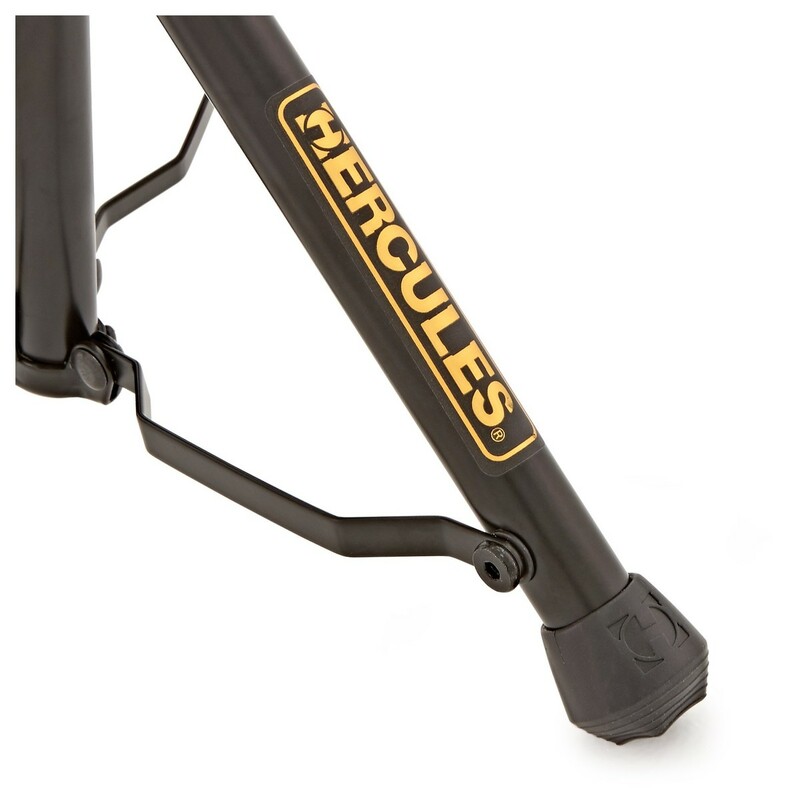 The Hercules Travlite Violin / Viola Stand is sturdy, lightweight and features Hercules' Auto Grab System (AGS) yoke. When the violin or viola's peg box is placed in the stand, the weight of the instrument causes the gates of the yoke to shut, securing the instrument in place. 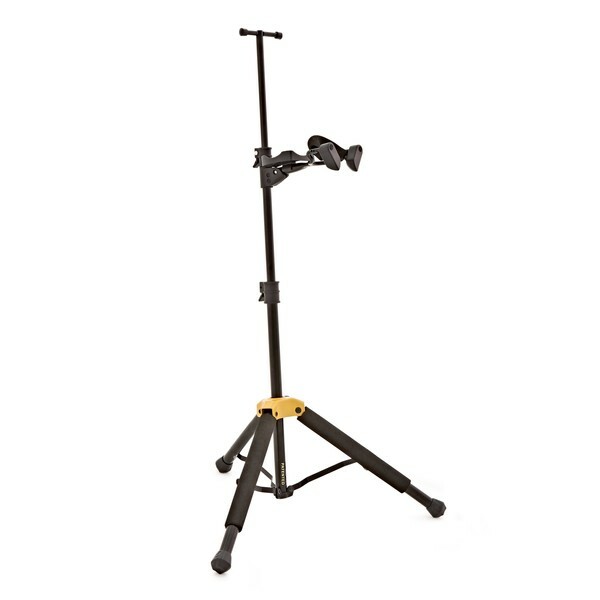 The stand is made from lightweight aluminium and folds down neatly, meaning it is easy to transport. 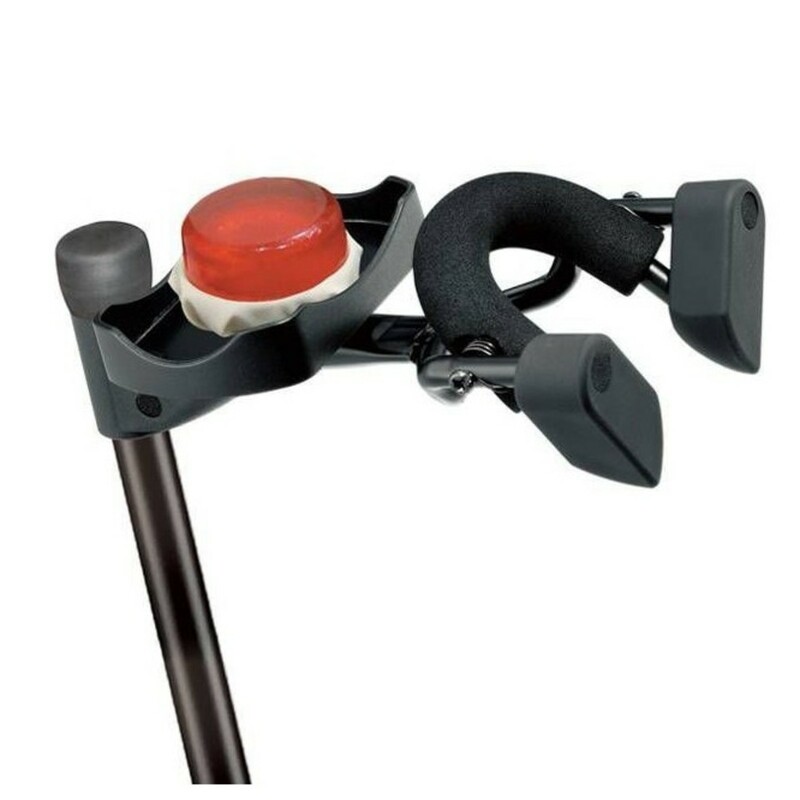 The points of contact between the stand and violin / viola are covered with specially formulated foam to prevent scratches. 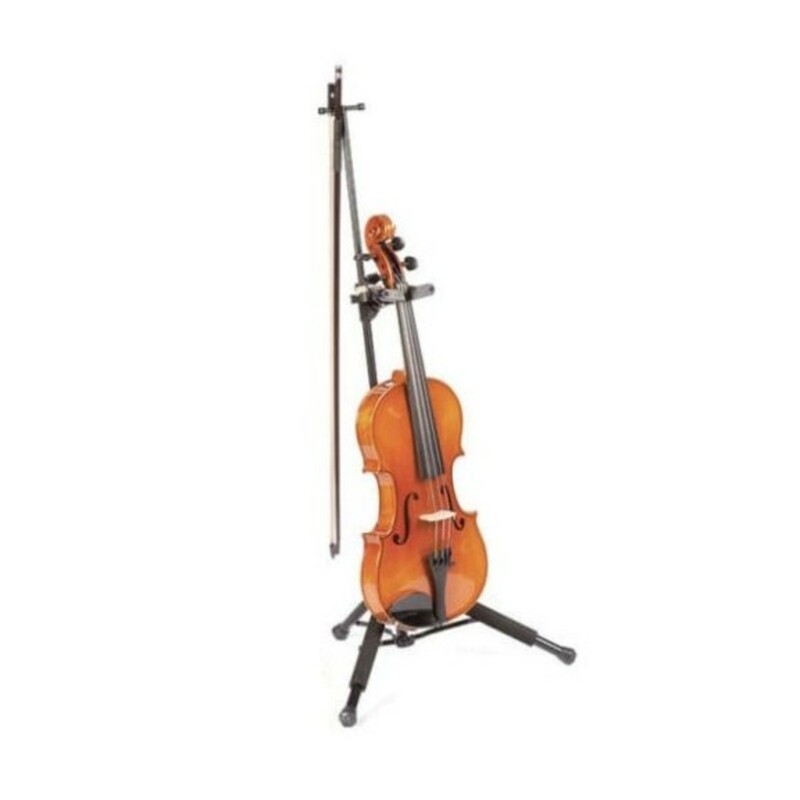 The Hercules Violin / Viola Stand also features a utility holder for keeping useful items, such as rosin, nearby.